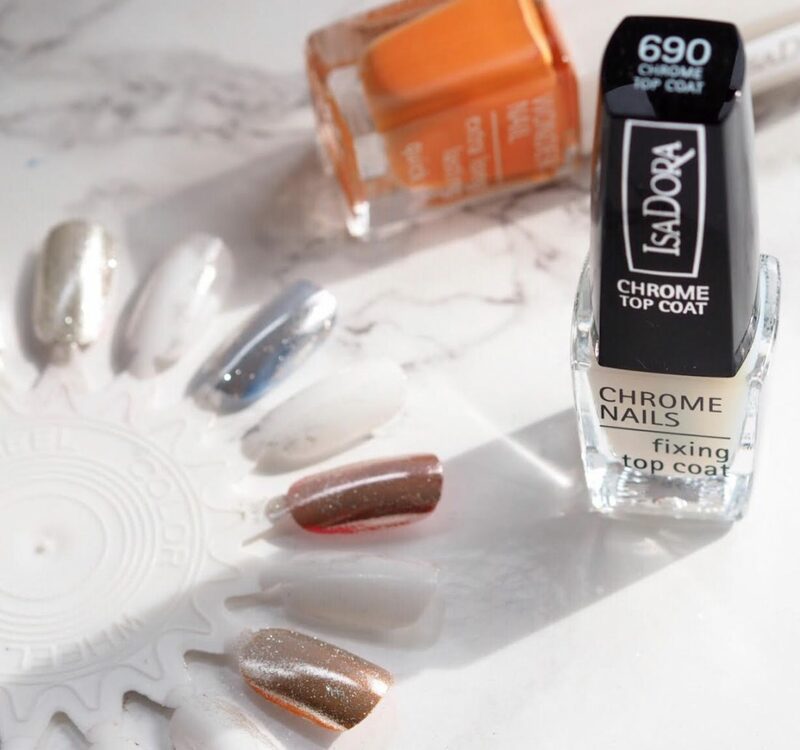 Wow – I’m absolutely staggered a how well the Isadora Chrome Nail Powder works! It’s an absolute revelation. 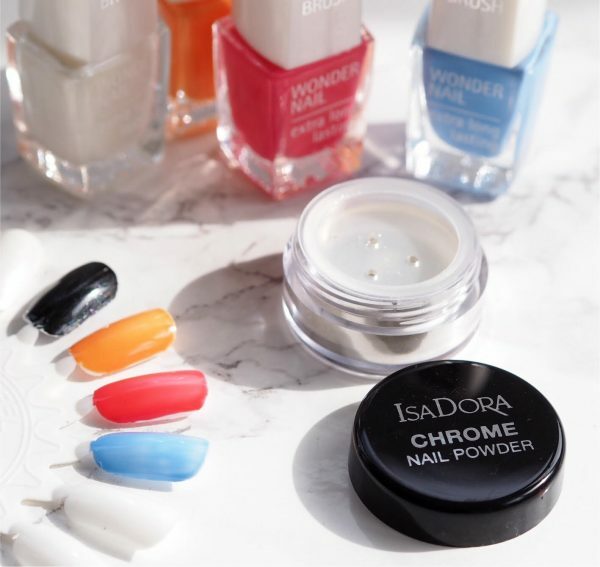 If you’ve used chrome powders before then it may not be such a lightening bolt, but I haven’t and I had no clue how what the result would be. 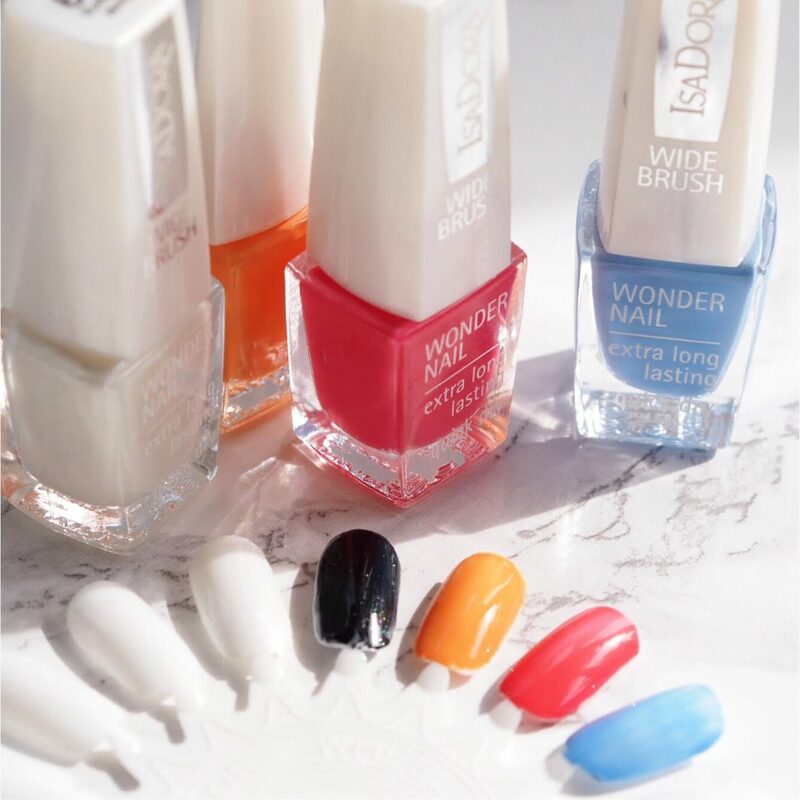 As a step by step: apply one layer of Wonder Nail (the Isadora quick dry polish) and let it dry for about two minutes. 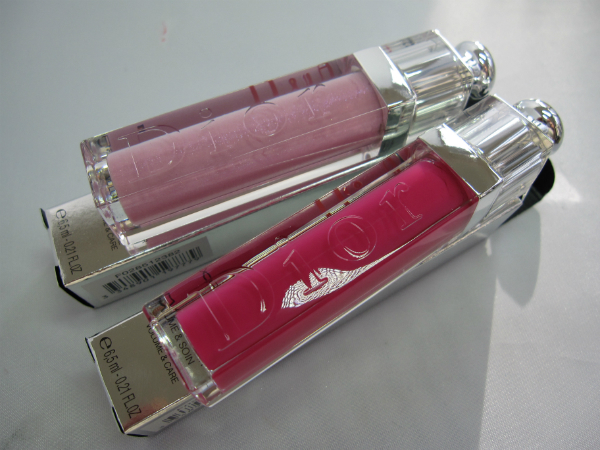 Actually, what you need is for it to be almost dry…I do, and always have, although please don’t judge… the lip test. If you lightly stroke your nail across your lip, you can sense any ‘drag’ very easily and you’re looking for the tiniest bit of drag rather than a completely smooth pass. 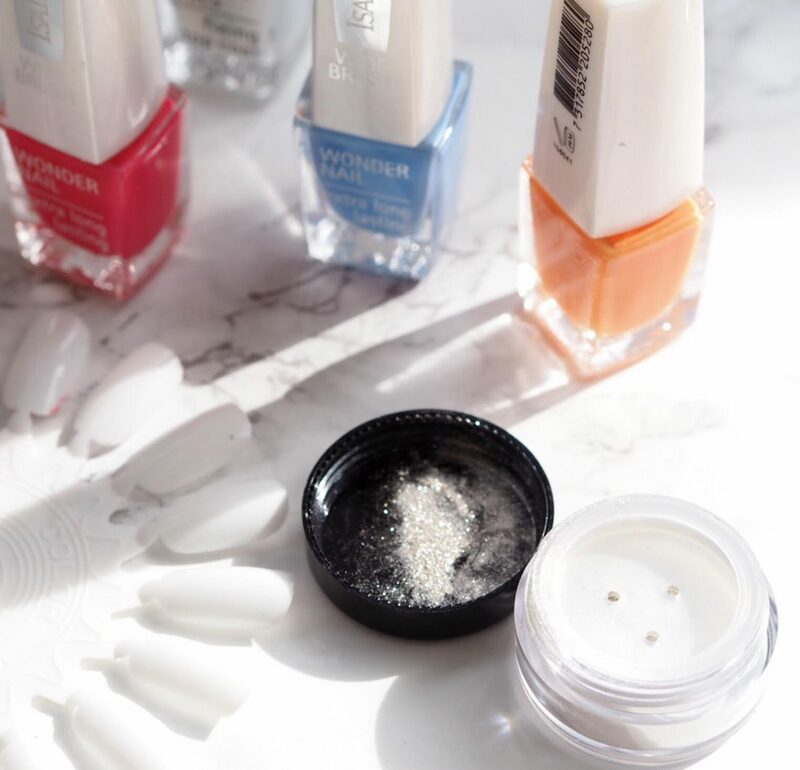 Tip a small amount of the powder into the lid of the pot and pick some up on your fingertip (I am pretty sure you can use a brush but I haven’t tried this myself yet) and gently rub it into the nail until it becomes shiny. I actually cannot believe the result I got from this on the very first go – it’s not tidy and it isn’t as elegant as it should be mainly because I really didn’t have expectations for this so didn’t put all of the effort in! You need to finish with the protective top coat. It’s launched HERE. The chrome shade you get depends upon what shade the base was to start with. Orange gives a vintage gole, pink gives a rose gold, blue gives a silver blue, white gives silver and black gives a gun metal (not shown.. it was my one mess-up). 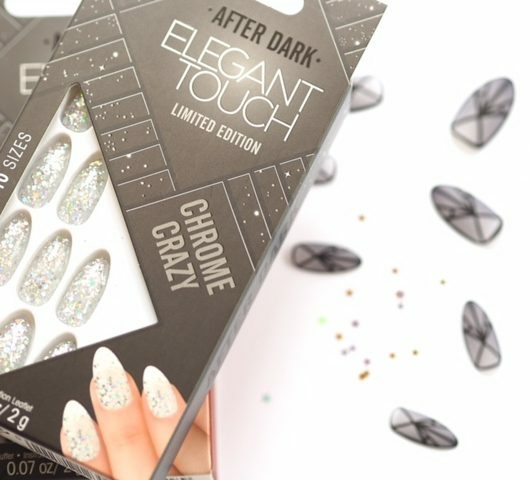 I’m really very thrilled with this and am definitely trying it on my real nails! I just tried this yesterday myself. The instructions don’t mention using base coat so I didn’t, but for next time I will to help cover the flaky spots of my nails. In the places I today topped with regular top coat the chrome layer was diluted even through the special top coat, so I see how the latter is vital for the finish! I think the nail polish acts as a base coat.. you can put a protective coat under that if you wish, but there is a top coat to seal it. 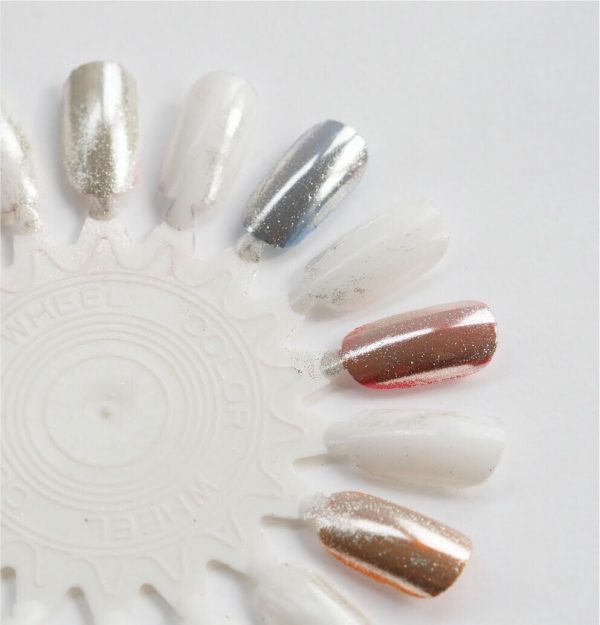 I didn’t even know there’s a chrome thingy where you don’t have to use gel polish or a UV/LED lamp! And the result looks great, I am definitely giving this a try.